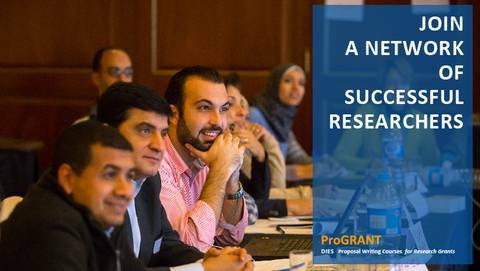 ProGRANT Proposal Writing for Research Grants is part of the DIES (Dialogue on Innovative Higher Education Strategies) program of the German Academic Exchange Service (DAAD) and the German Rectors’ Conference (HRK). The aim of ProGRANT Proposal Writing for Research Grants is to enable researchers and younger PhD holders (up to 40 years of age) from countries in the Global South (mainly Latin America, Africa, the Middle East and Southeast Asia) to develop proposal writing skills according to international standards and to design, write and budget a promising proposal for national and international research funding. 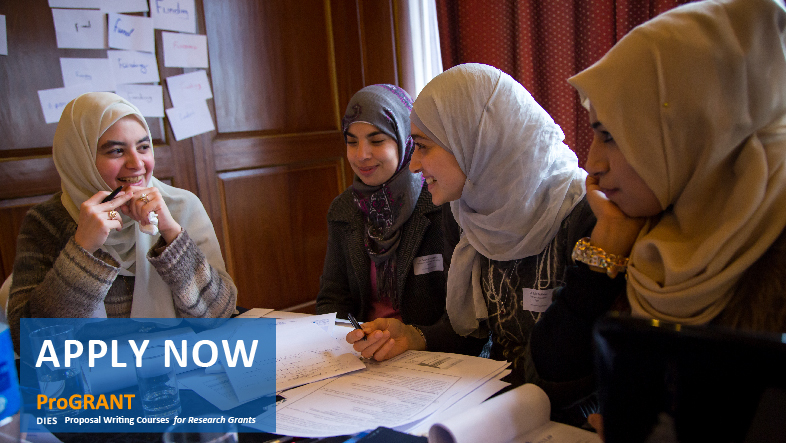 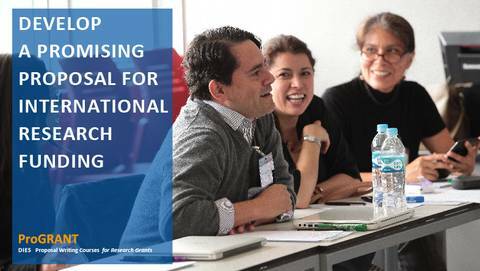 The courses are organized and conducted by the International Office of the University of Cologne in close cooperation with ProWiss (Consulting Services for Researchers) and partner institutions in the regions. 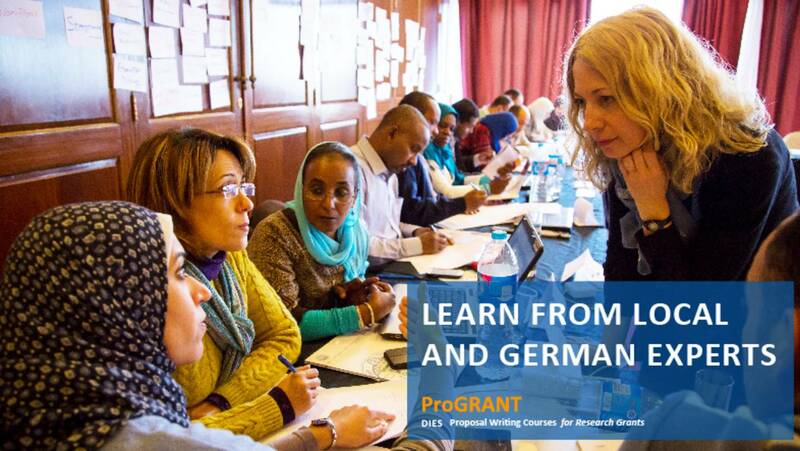 ProGRANT is an effective tool for enhancing academic capacity building in the global south and for promoting international research cooperation.